swimming. (Morning air was a bit chilly!) 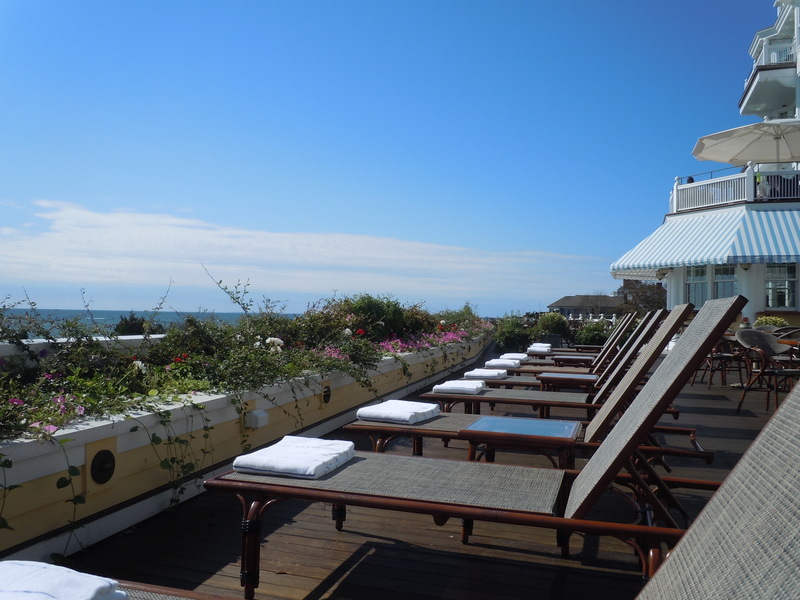 We are close enough to Watch Hill to make a visit to the Ocean House a quick get away. 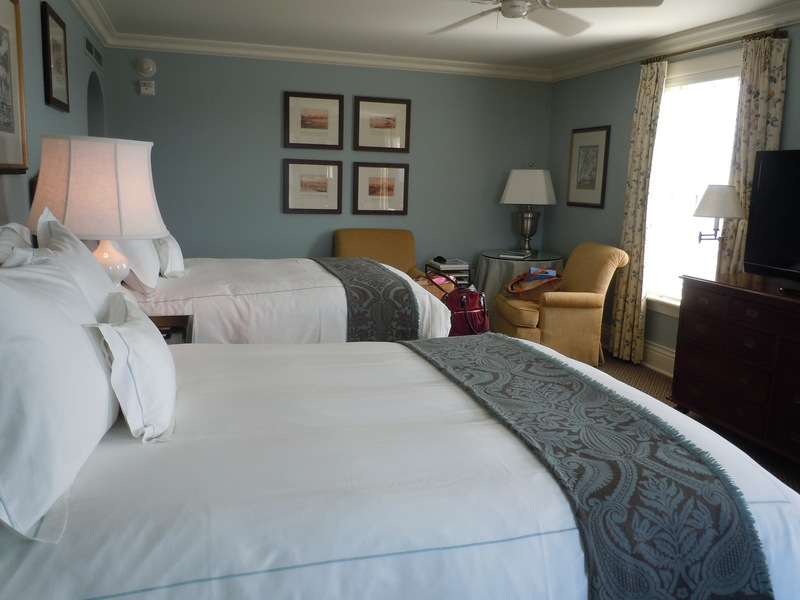 I SO recommend this glorious completely and luxuriously updated hotel with a famed past. 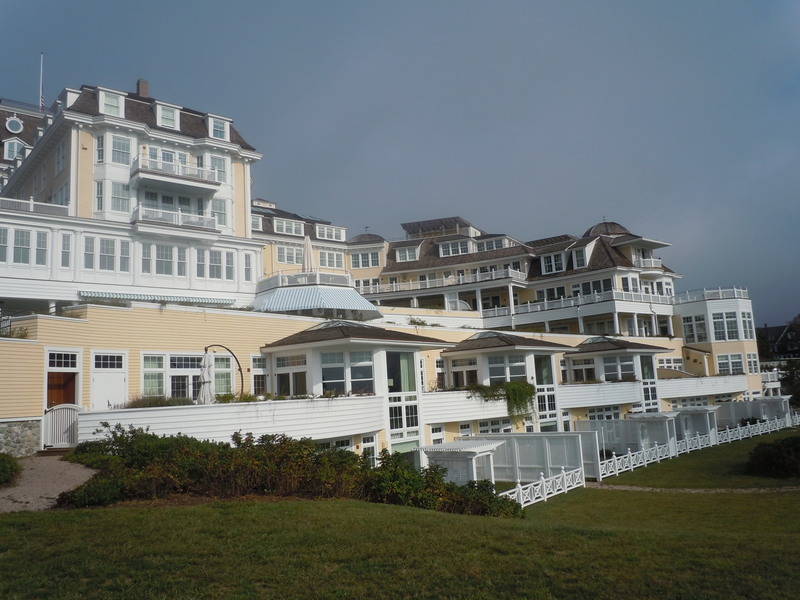 Ocean House, Watch Hill R.I.
We treated ourselves to the Spa services. 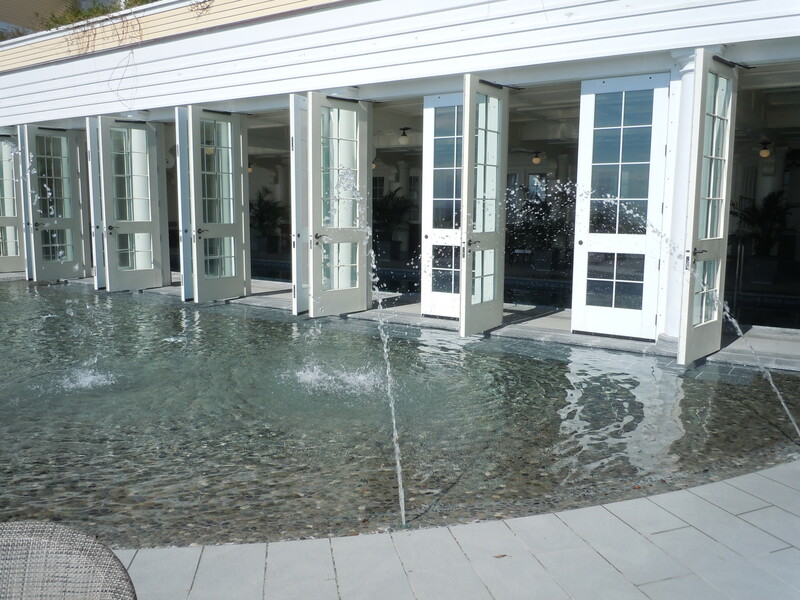 A serene, calming space with a saltwater pool, fountains overlooking the ocean. Bliss! This is a place to heal body, mind and soul…and stomach. 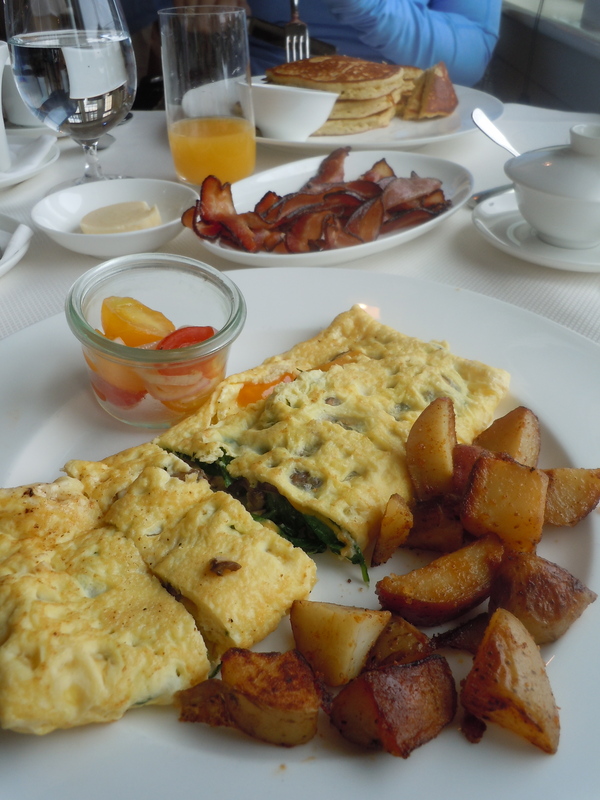 (Please excuse the side of Maplewood bacon – we do not usually eat meat!) I appreciate a good Starbucks just like the next person, but there is something so civil about white tablecloths and sugar bowls and creamers! 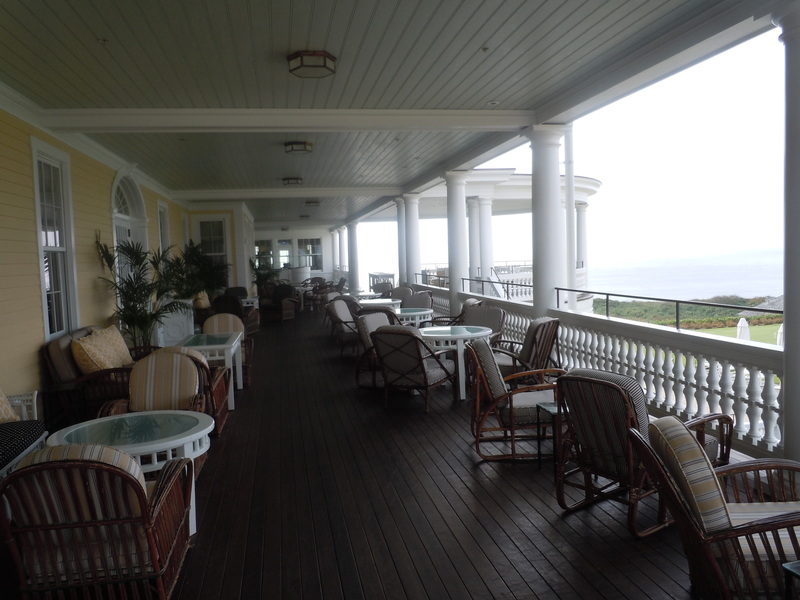 Drinks on the wide, beautiful porch with sweeping views of the ocean set the stage and a prelude for a lovely dinner. 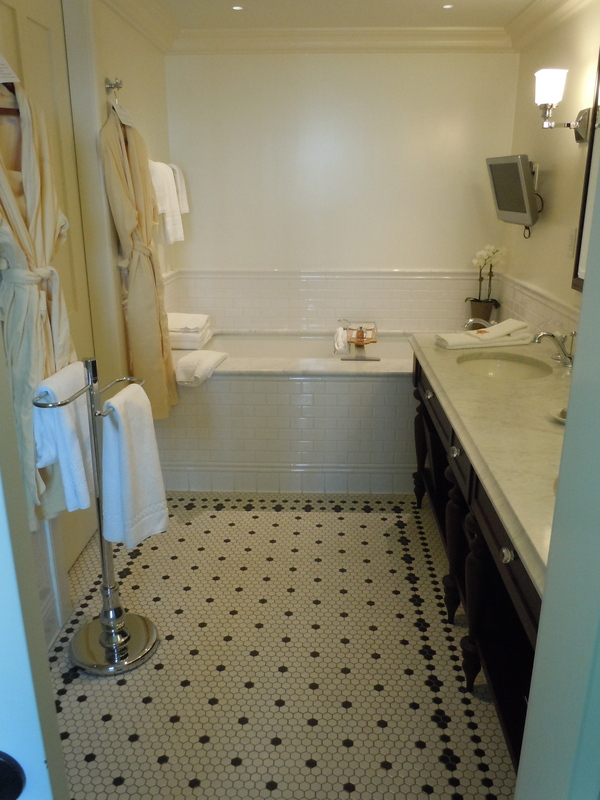 Our rooms were beautifully appointed with every possible convenience. Comfort and good design so appreciated! Frette linens! 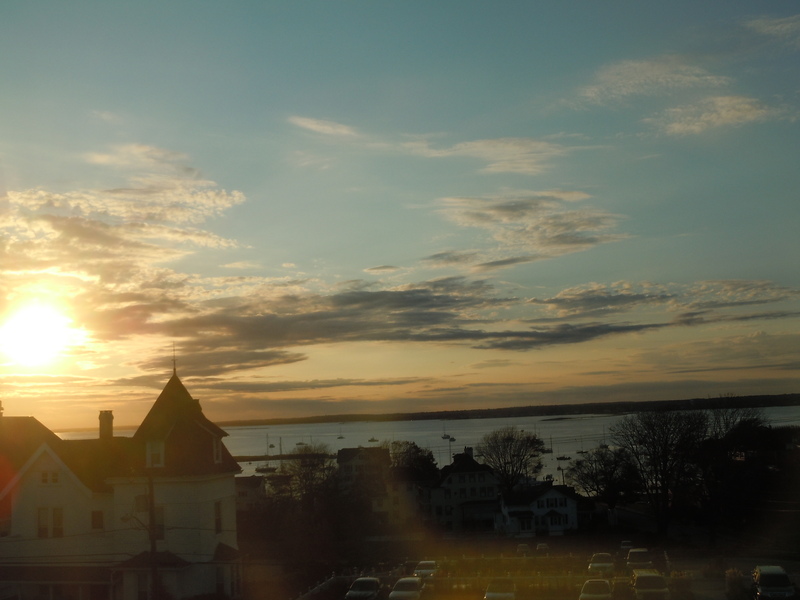 Our room had views of the ocean from every window! Sunset was glorious! 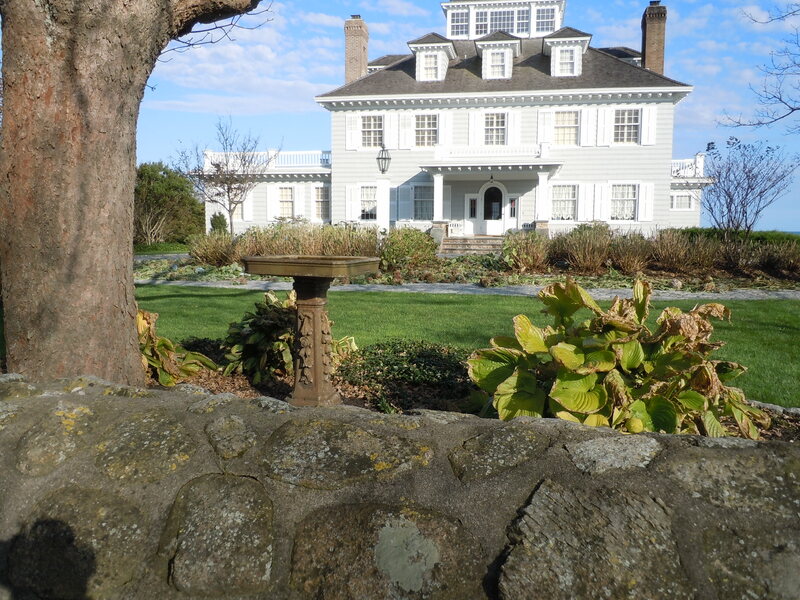 Walking through the tiny town, and along the bluff, it was fun to imagine scenes from Summers past – the privilege of living in one of the old homes that have overlooked this beautiful section of the Atlantic…. 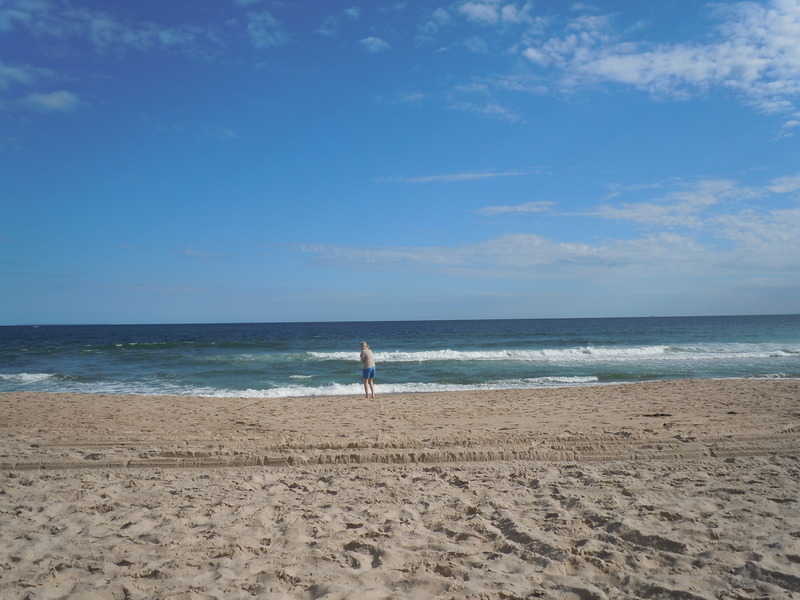 I hope to return to this special place; it will always remain a sunny memory of a perfect week end with my daughter. 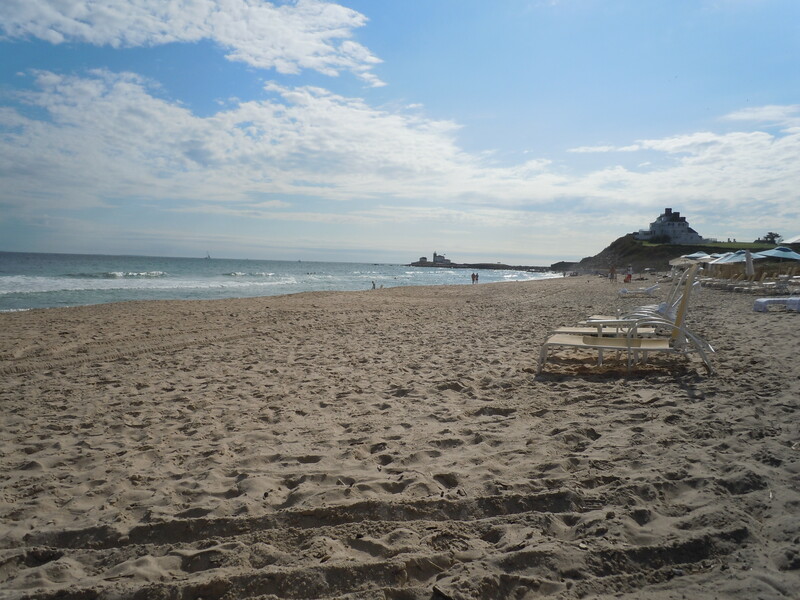 Now back to real life – still cleaning up from Hurricane Irene, roofers, tree work….. but the best of real life – life with Pippa, the new puppy!, and Clementine! Books and chewables and breakables all put away, furniture covered and the joy of a lively new puppy! Nap time (below) is appreciated too! 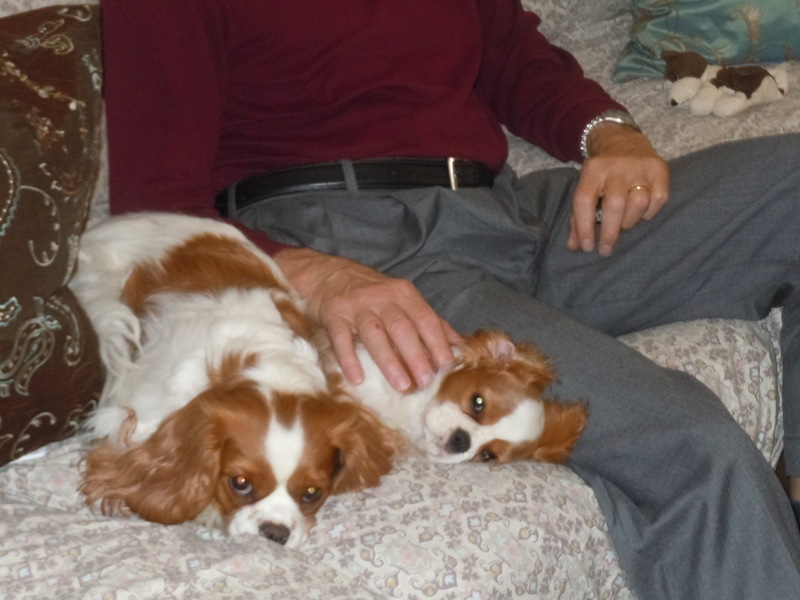 This entry was posted in Uncategorized and tagged cavalier King Charles Spaniels, Ocean House, R.I., Watch Hill. Bookmark the permalink. Thank you for stopping by our blog. You have many beautiful pictures… we’ll come back again. 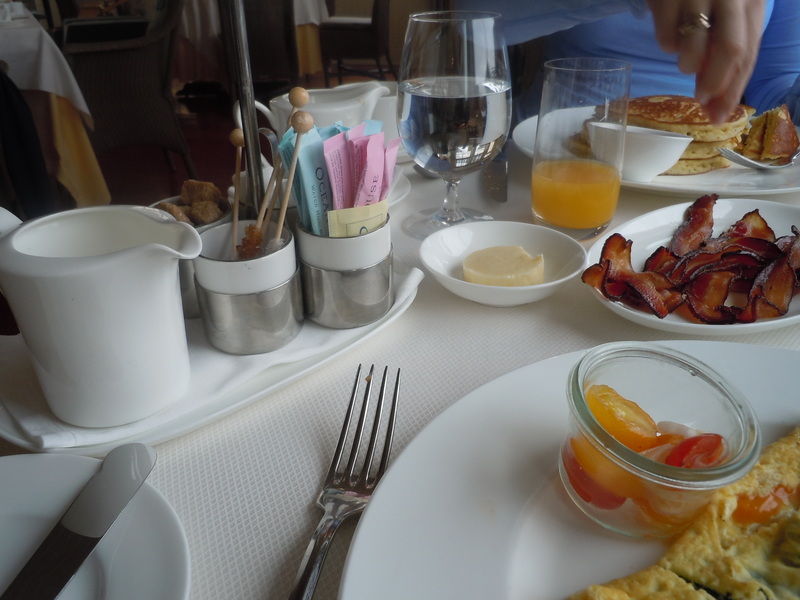 You know you’re a blogger when ………………………..you take pictures of your meals. Glad to see you had a great vacay. How did I miss this post?!?!?! Wonderful!! And, of course, I missed your birthday — I am notorious for that. Happy…Big Birthday…!! And what a nice way to share and celebrate it.